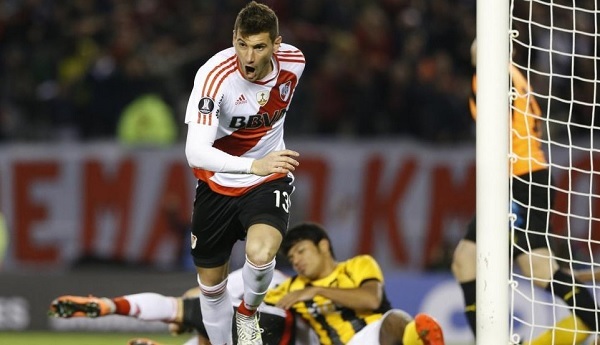 German club Bayer Leverkusen have reportedly bid for River Plate’s Lucas ALARIO. After Santiago ASCACIBAR became the first Argentinian to join a Bundesliga team this transfer market, there could soon be another one. Argentina international and River Plate forward Lucas ALARIO is wanted by Bayer Leverkusen, with a report stating that the German club have submited an offer of 16 million. 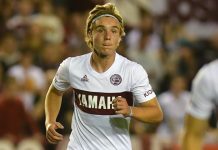 Per the report, it does not look like River Plate will accept an offer that is less than his current buyout clause which stands at 24 million. 15.23 BST: Valencia defender Ezequiel Garay is hot property across Europe, so it seems, withThe Sun reporting that Manchester United, Tottenham, Juventus and Benfica are all interested in signing him. The reports adds that United sent their scouts to Spain to watch him play last weekend. Back in 1986, the Argentina world cup winning squad had as many as 15 players from the local league with just 7 from foreign based, including Maradona from Napoli. Back then the situation was completely different. I would say almost the complete opposite of today. If you trace back to 1978, it was even better. Just 2 foreign based players, and 20 domestic based players! 30-40 years ago, ONLY the very best players like Maradona or Kempes played overseas. Most others did not feel the need to go to Europe as the local teams provided similar rates of salary. Argentina league is still my favorite league, but I am not foolish enough not to see the the reality. I read a week ago that NBA players care a lot about their NBA 2K ratings. I am sure the same as futbol. A lot of futbol players do care about their FIFA ratings (in video game). I am not a fan of video games, but those video games rating make sense. I mean make a lot of sense. 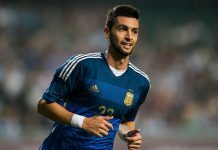 Today if players are “pretty good” in Argentina, it will take a split of second before they move to Europe in less than a year. Let’s make it this way: Today, if their “rating” in FIFA video game is higher than let’s say 73 or 75 (let’s make an example that 73 or 75 are the standard here), then European clubs would buy them. The likes of Driussi, Ascacibar, Rigoni, Leo Suarez, Acuna, or Giovani Simeone 2 years ago, Cristian Espinoza, Emmanuel Mammana a couple of years ago are just the examples. Once they look pretty good (and for examples their FIFA rating is 73 or higher) and then there is no way no European teams would want them. The clubs in Argentina need money. They would advertise their players everywhere, not just youtube, so they can export their players. No wonder why Argentina players are the number 1 exporter when it comes to sending players overseas (it used to be Brazil). Here, we ask for some of our favorite local players. We asked from the likes of Jose Luis Gomez, Centurion, Tagliafico, Barboza, etc. We got our wish. Sampaoli, the new coach called some of them. But it just took Sampaoli one game or two games at most to realize that the local based players are not good enough. note: I still like Jose Luis Gomez, I hope he will get another chance, but he is the only one. Tagliafico is the perfect example. Some of you go as far as: he is, not just our best left back in primera division, but the best left back of Argentina! (Well I always disagree with whatever you guys discuss here). And the game against Brazil and Singapore clearly proved that Nico isn’t a NT material. It doesn’t take a rocket science to see that. It is super clear. The same as Emmanuel Mas, Bauza’s favorite left back. He is just not good enough. Both he and Nico (I should add Maidana, Pinola, or Alario) are like boys among men when they played in HIGHEST competition such as South American World Cup Qualifying. Thigs are just different today. European scouts are professional. Some of us here believe that we are very good scouts, but those European futbol scouts are paid a lot of money for their job. They just don’t do it for fun. They know right away which players are good enough to play in Europe maybe 1-2 years before we saw them for the first time in youtube. 1. Young unproven players: Barboza (likely a sub in River). If they are given a chance and look good enough then it will take less than a year before a European team buys them, example: Driussi. 2. Overrated below 30 years of age players because of their teams try to make them look better than they actually are because of business. They want to sell them to Europe to get money: Centurion. These players usually will try to wow their crowds because they try to so hard to prove that they can play in Europe. 3. Those whose career is declining rapidly in Europe and will try to survive their career: Gago, Perez (Enzo). These players could have still stayed in Europe playing for very small teams, but they chose to return to Argentina because the salary of very small team in Europe and playing as key players for big clubs in Argentina such as Boca or River are about the same. I predict some flops will move back to Argentina soon: The likes of Jose Sosa, or Gaitan in the near future. 4. Old players who are about to retire but is stubborn enough to play and would want to continue in their team in which they started their career: such as Riquelme, or Maxi in the past and many more. The economy really change everything. If I were the coach today, I wouldn’t call any single player from Argentina. Well maybe I would call 1 (Jose Luis Gomez maybe because of the pathetic situation of our Right back) or 2 at most for the third goalie of the squad or something. Well Argentina futbol is still fun nonetheless…. Principe, interesting post, I mostly agree. Having said that, I feel like you are a bit harsh towards some players. Tagliafico perhaps is not NT material but to say that based on one game against Brazil is a bit premature, don’t you think? I mean, the likes of Higuian and Kun were given a gazillion chances so it’s only fair if other players are given a decent chance to prove themselves. It’s not like we have an embarrassment of riches when it comes to fullbacks either. Who else comes to mind for a left-back position? After all, it was Sampaoli who called him up and he seems to know what he is doing. Also, mentioning Gaitan and Sosa in one sentence? Gaitan may not be a world-beater but hardly deserves such a harsh criticism in my opinion. El Principe, still Sosa have come back to European football and Milan long after you were derised and give up on him. Was you not the one who asked me once where is my Sosa? Well, he never was my but I may answer: he is in AC Milan – big club. Absolutely a brilliant post. I completely agree with you. But I will also understand if others disagree to your post. Nico Tagliafico clearly stands out as an example. If he is really that good how come no proper European clubs want him. I have never heard rumor also from a mid level club. Extremely over rated. Kranevitter was also one. Who made it Europe but got found out very quickly. Luicano Vietto another one. There are many over rated ones. Other than Messi and Dybala, currently we do not have any player who is a leader in a top club. Not many of our players in Europe are automatic starters. Another factor is number of chances you get. You are not going to get too many chances. One has to play good. Need to have both skill and mental strength. Dybala has stepped up his game, still not at the top level. Overall, post Messi we will have a not so bright future. Many overrated ones, but I do not see truly great players. 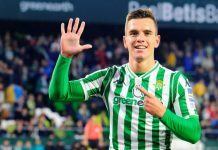 what aboul last rumors about Sevilla and Berizzo following Tagliafico? WHy you give up on Kranevitter? Where was Alejandro Gomez at his ? Where he was until 28. It seemed that he is not good even for Ukraine. But he was one of 2 best players of Serie A last season. So please a little humility. Gonzalo, I will respect your position and opinion. Let Tagliafico happen and then we can talk. He is OK, but nothing special from very little I have seen. You surely have seen more. You still hope on Kranevitter (next Mascherano), go ahead. If he turns around at 28, fantastic. I am just talking about today. I feel we hype our players way too much over here. You especially do a lot, while they have not achieved anything other than showing potential. So lets wait and see what happens before calling them the next big thing. I think that is humility. To remain on ground. Not sure why you are seeking humility from me? I have no arrogance or neither do I think I am an expert. I am just an Argentina fan, a BIG one. I never consdered Kranevitter as next Mascherano. Just his successor but way different type of player. He is much more talented than we may see from him currently. Everytime when I’m talking about some new young player it’s just about promising prospect, hope and it’s kind of stimulation to other memmbers to go and watch them by themselves. You know, it’s first mention and spur in one thing. Since I’m here I had used the words “next big thing” max 2 times. The only player in Principe’s list I disagree about is Gago. he left Madrid because he was injury-prone, it had nothing to do with talent or play-ability. He got settled and was starting in Madrid for crying out loud. Talent is talent no matter where you play. Lanzini is the best example. He’s an above average player coming from Al Jazira. In theory, we could’ve all said that he was an overrated talent at that time. Bt look at him now, he’s doing well in the EPL. Just because you shine in the Primera league doesn’t necessarily mean that you’re NT material. Shining in Europe doesn’t mean that you’re NT material either. Papu gomez for example, wasn’t able to convince Sampaoli. At the end of the day, talent is talent. Another factor is compatibily. A player like Kranevitter isn’t overrated but some of his physical attributes has let him down. He just doesn’t suit in European environment. I think the likes of Alario, JLGomez, nacho Fernandez, Rigoni, and more can bring a lot to the team if given enough confidence, and also based on the team’s need. At the same time, i have doubts over Maidana, and even Benedetto. They doing extremely well in the league but they may not fit or maybe not any better than the current players. You are in permanenet self contradiction. If you want delete a player after one game like Tagliafico then you should delete also your favourite Gomez because he was so mediocree against Brazil. So as you see it’s nothing more than personal prone. Your ranks and categories it’s just pure likes and dislikes while everyone know here that Principe is along with KidultHood biggest fan of old generation players like Higuain, DI Maria and Aguero. and these are only players U-23. Not to mention about above U-23 players like Benedetto, Pity Martinez, Nacho, Tagliafico, J.L. Gomez, Gaston Gimenez and more. And if you can’t see players like Brunetta, Vargas, Merlini, Palacios or Reynoso as real talents I fell sorry for you but you should spent a bit of time to see the players instead NBA. Basketnball fans should not pretend to football judge. Mark my words – each of the 5 players I mentioned above will be in Europe some day. Few players of the long list were among cullu ps of Sampaoli before cancelled game against Bolivia. Somehow he considered them as worth to work with. El principe with all due respect but I disagree with pretty much everything you just said! The primera players may not be good enough but unless one gives them a chance we’ll never know! Tagliafico didn’t do well against Brazil I grant you but his was a trial by far where he was left alone against a rampant Brazil side that took full advantage of the shaky 3-4-3 system that Sampaoli employed. 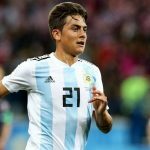 Nico is a fine player IMO and deserves atleast another chance. Nacho frenandez was fantastic against Singapore and granted it was just siganpore but that’s how things should start, play a weaker team and impress and then play a stronger team and continue to impress until you prove you self NT worthy. Lanzini was a talented player that went to the gulf and we all dismissed him until impressed in the BPL. Gabi Mercado was playing in Argetnina until 2 years ago then he was given a chance with the NT and he took it scoring some essential goals for argentina and impressing in his first season in la liga. Franco Cervi impressed in his first season with Benfica, particularly in the CL and now he’s s regular while Marcos Acuna is impressing currently with sporting after scoring 1 and assisting 2 in 5 games. Again granted that it’s just the portugese league but I say again that it’s all about taking gradual steps. Another important point we should all remember is that WC winning teams don’t necessarily have to consist of leaders of the top teams in europe, it’s all about chemistry and frankly lio, kun, pipita and Maria were all essential players in top teams and because of that they were overworked and injured by the time they arrived to the world cup and apart from lio they all underperformed or 2 of em were injured. Look at tite’s Brazil, 2 0f it’s players R. Augusto and paulino were playing in freaking china at the time yet they formed an essential cog in a machine that has breezed through the hardest qualifying round robin in the world. 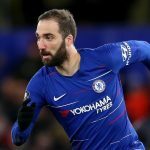 I would rather see our players play for lower tier teams in strong leagues like Rulli in Sociedad or lanzini in Westham or gomez in Atalanta and certainly the very underrated Piatti in Espanyol, where they get to play stronger opposition on a regular basis without having work them selves into the ground by trying to win their league and the CL. Another good situation would be playing for top teams in weaker leagues where the player gets to taste CL action like Salvio and cervi in Benfica or Acuna and Battaglia in Sporting. Barboza soon will be NT player and will go to Europe and no matter he will be in upcoming season starter or only sub. Mark my words Mr.Principe. “But it just took Sampaoli one game or two games at most to realize that the local based players are not good enough” – most idiotic sentence I ever heard here. You really think Sampaoli is such idiot to judge after one game. You did it. But the local players even didn’t played one full game. Only children may judge so hastily.